Written uniquely just for Microbladingeyebrowsnearme.com and not published anywhere else. Well written high quality article consist of 400 – 1500 words that follows our publishing guidelines. Contributors must take the time to complete author profile details with their real name and biography information. 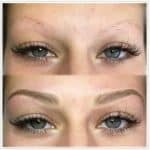 Feel free to introduce your Microblading business including other services you offer in your author profile; provided information is shown publicly. Also, you can promote your website, Facebook page, Twitter account and other social accounts but not in the article content. The goal of this website is to help users get educated about Microblading. Only useful and original content written exclusively for Microbladingeyebrowsnearme.com will be accepted. Copied articles from other sources will not be accepted. You can freely promote yourself or business within your author profile or even in your page by submitting your business for listing but you are only allowed to put one link pointing to your business in article. 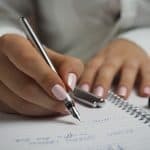 Moreover, each and every article you have written has author profile in it that can be found in the end part of the content so, all credits goes to you and your business. Who Can Contribute Blog Posts? 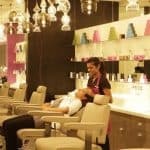 This is for you if you are a salon owner who wants to promote your service or business to gather more clients in your salon or if you are a business person who offers Microblading training and wants to reach more participants in your training. Submit your blogpost or article draft with your personal/business information in a Word document and send it to [email protected]. If you have questions, feel free to send your message to the email address provided or submit it here.